A natural evolution of the CMM machines’ capability is the increasing number of sensors that have become available. There has been a great deal of interest in mounting a laser scanner on manufacturers’ existing machines and also on new machines. Utilising a coordinate measuring machine as a three-axis carriage for a laser scanner gives the scanner the benefit of a high accuracy positioning system, which is far superior to portable arms or optical guided devices that require manual movement of a handheld scanning device. 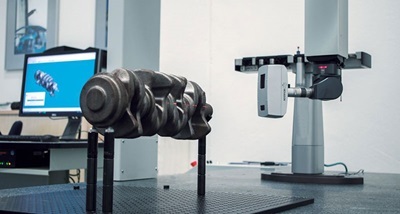 Together with higher positional accuracy, the coordinate measuring machine also gives the scanner the ability to be utilised without operator intervention. Therefore, the repeated measurement of parts can be performed without inducing fatigue in the operator, and allowing him to perform other tasks while the machine is scanning. When one considers the speed at which a laser scanner can measure, compared to a touch probe system, the difference is immense; laser scanners can gather thousands of points per second. A laser scanner’s accuracy, without influence from a mechanical moving device or a camera system, generally falls within the 10 to 30 µm range. Of course, the uncertainty of the device that positions the laser scanner also must be added to the laser scanner’s accuracy or uncertainty. So, it’s extremely important to have the most accurate positioning device possible for the highest performance. In no way does the accuracy of a laser scanner beat the incredible precision and repeatability of a touch or analogue scanning probe; therefore, it’s not prudent to use the laser scanner for high precision machine parts, as an example. Laser scanners offer a great solution for industries measuring components with complex shapes, lots of features and tolerances between the 25 to 50 µm range; components such as sheet metal, castings, and plastic components are ideal. Most large manufacturers of coordinate measuring machines offer a migratory path for people who wish to install a laser scanner on the CMM. For older coordinate measuring machines It is often necessary to change the controller and purchase new software that has the capability of handling the increased data load and the graphical output necessary when scanning complex surfaces. 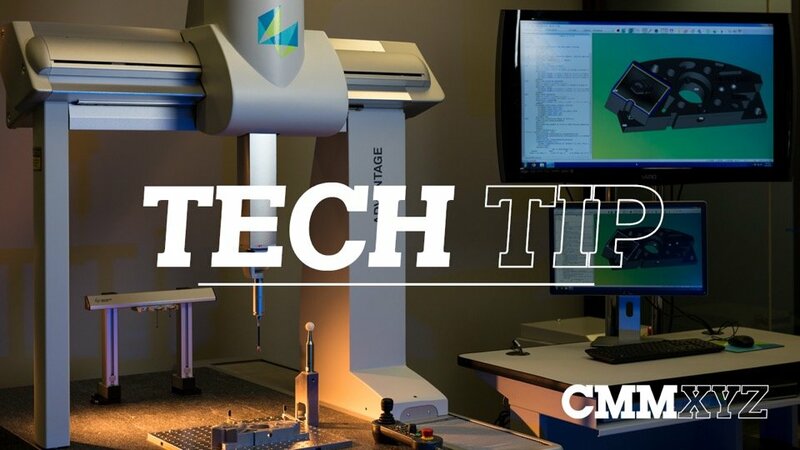 The costs of a scanner upgrade on a newer coordinate measuring machine could be as low as $50,000 US; or, when a new controller is taken into account, and new software, the costs could be as high as $90,000 US. 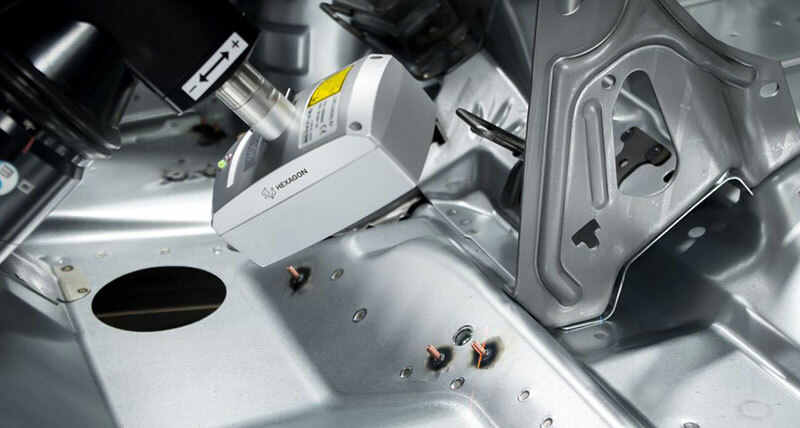 A laser scanner can be integrated into the coordinate measuring machine in such a way that tool changers can accommodate a mixed variety of probes, including lasers. This provides fully automatic measurement capability and allows the benefits of seamlessly exchanging tactile probes for laser probes during the inspection or reverse engineering process, without the intervention of an operator or programmer. Here at CMMXYZ we have in-depth experience installing laser scanners on CMM machines. If you have questions, are looking for advice or additional information, please contact us.